Discover our new kind of chiropractic clinic that offers a range of services to keep you and your family healthy. 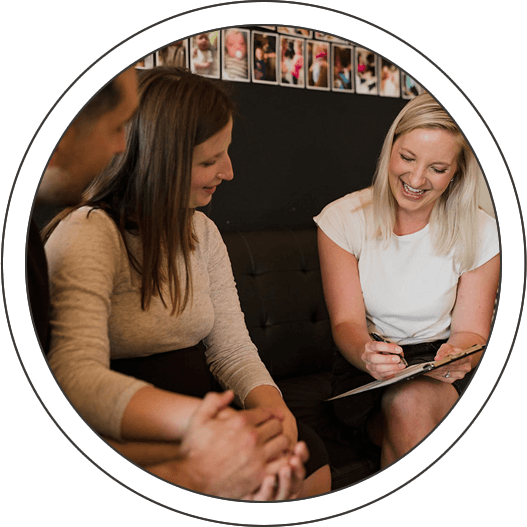 At Maximized Chiropractic, our goal is to present information to every patient, so they can make an educated decision about their health care for themselves and their families. Have you ever wondered what it means to be healthy? We have, and we believe it isn’t just how you feel—we make it simple to reach optimal health. Through compassion, dedication and a little creativity, we strive to be the very best. We would like to welcome you as a part of our family at Maximized Chiropractic. 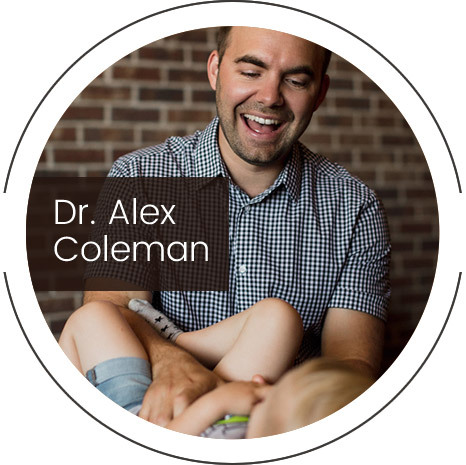 Bismarck Chiropractor Dr. Alex Coleman provides effective, low-force chiropractic care to help kids and their parents live healthy and happy lives. Best of all, chiropractic is a natural form of health care that doesn’t require drugs or surgery. As the number one focus of our practice, chiropractic takes care of the nervous system and makes sure it's working at 100%. Dr. Alex ensures that the brain is connected to every single part of the body at all times. He does that through adjustments, which foster a more connected, calmer and healthier body. Through adjustments and spinal exercises, we are able to restore your body's natural ability to heal itself. If you are a parent or are hoping to become one it would be nice if children came with a manual, wouldn't it? Our practice desires to be that manual by getting children off to the healthiest start possible and helping them maintain health for a lifetime. Dr. Alex is certified in the Webster Technique and is an Epic Pediatrics chiropractor. From our bright and cheerful space to our friendly staff, you will quickly know you've come to the right place for natural, nurturing care. As a father of two, Dr. Alex will care for your children as he would his own. With a kids' area and changing station, you will quickly see that kids are a big focus of our practice. In addition to chiropractic care, we provide several services to help you and your family enjoy optimal health: nutritional therapy, birth planning, lactation counseling and well-baby checks. Our patients also can experience some relaxing time on our HydroMassage table. That's not something you'll find in many chiropractic practices. contact us today to book an appointment with chiropractor Bismarck Dr. Alex! Thank you Dr Alex for keeping me healthy, and strong, to live up to the demands of my highly mobile job (in airplane seats, cars, trade show floors) and active lifestyle. Your last year of care has reduced the daily pain (a lot) and allowed me to do so much more. The last X-ray was living proof of the improvement. Wow, what a change! There’s also been reflexology that I’ve done for 20+ years to deal with the pain, but with the structural help, I need both less frequently. Thank you again! Dr. Alex is so patient and caring towards our daughter, in fact she ASKS to go see Dr. Alex. I guess all I have left to say is, it’d be your loss if you didn’t give Maximized Chiropractic a chance, because THIS PLACE puts families health first. Thank you to Dr. Alex, his wife and son for always giving us your best welcome as we walk through your doors and of course we will be in soon again for our adjustments. Terry first discovered our office from the outreach of Maximized Living. He has had a lifetime of chronic pain from an accident at an early age. He is now on the path to true health and healing! I will continue to better myself, and Dr. Alex is a part of my living for today and tomorrow. He is such a kind and intelligent person. His treatment is awesome. You have to try it to see for yourself the health benefits. I have just started and feeling great relief! I highly recommend him. Rita first came to our office with chronic fatigue. She tried extra sleep and naps but didn’t get any relief. It was negatively affecting her daily life and was severely restricting what she was able to accomplish. Since starting care she immediately had more energy, is able to sleep better, and able to perform all her daily tasks with ease! The staff at Maximized Chiropractic are very caring and professional. They are the examples of what healthy looks like! Cole is a very active athlete and has back problems since 2006. It has affected his performance and his ability to sleep and recover after training. Since coming to our office he has been sleeping better and his back pain is gone! Dr. Alex and the team are very friendly and knowledgeable. I would recommend them to anybody! Maximized is unlike any chiropractor I have been to. It has a fun and caring staff, that wants to help you however they can. They diagnosed my problem and told me exactly how to fix it. They gave me exercises to do at home and good posture tips. They have a very relaxing environment and I look forward to going there knowing that I’m taking a step in the right direction. Thank you Maximized! We originally came into the office for my newborn’s torticollis. We have since found that our daughter has much more mobility and is able to nurse much more effectively! Every time our family walks in we feel at ease. Everyone knows us and they know exactly what my family needs. They are amazing and very helpful! Bonnie first came to our office to attend one of our health seminars. She was able to learn how her body works and the true meaning of health. She had some injuries that made it difficult to work. Since coming to our office she has started on our great nutrition an exercise programs that are allowing her body to heal without drugs or surgery! I appreciate the additional education on nutrition and exercise. This clinic offers things that others I have been to do not. Maximized Chiropractic has helped my family and I take an active role in maintaining our health. Regular adjustments help us all stay healthy, active, and pain-free. Also, regular adjustments throughout my pregnancy helped me to experience a smooth, unmedicated delivery. Dr. Alex has also provided much needed support in making informed choices for our baby and ourselves.